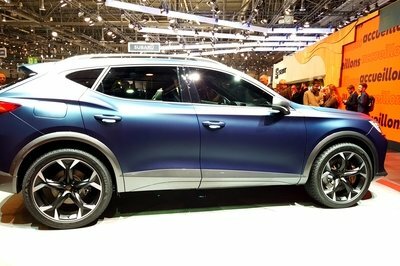 SEAT’s 2019 Geneva International Motor Show stand was abuzz with activity this year, most of which was focused around a design study premiere, the Cupra Formentor concept. 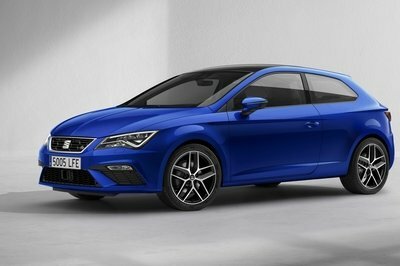 However, it’s not really a concept at all and it actually previews the first Cupra-badged model not to be shared with the SEAT parent brand. SEAT may call the 2019 el-Born a concept, but it really isn’t one. This is essentially what SEAT’s first all-electric city car will look like, both inside and out. It is also closely related to the upcoming production VW ID hatchback, a model previewed by a considerably more far-fetched concept. The El-Born’s design will pack a bit more punch than the VW, and as with every other SEAT model in comparison to its corresponding VW model, it will exude a sportier, more fun-loving character. 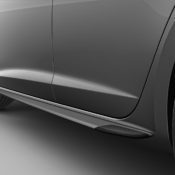 The manufacturer says it “fuses the core aspects driving change in the automotive industry: electrification, autonomous driving, shared-mobility, and connectivity,” and that’s actually a pretty good way to describe what it’s meant to do. In keeping with its aggressive design, the el-Born will offer nearly hot-hatch levels of acceleration, but at the same time, it promises to do well in the main area of concern when it comes to battery-powered electric vehicles: battery pack capacity and the range it can provide. 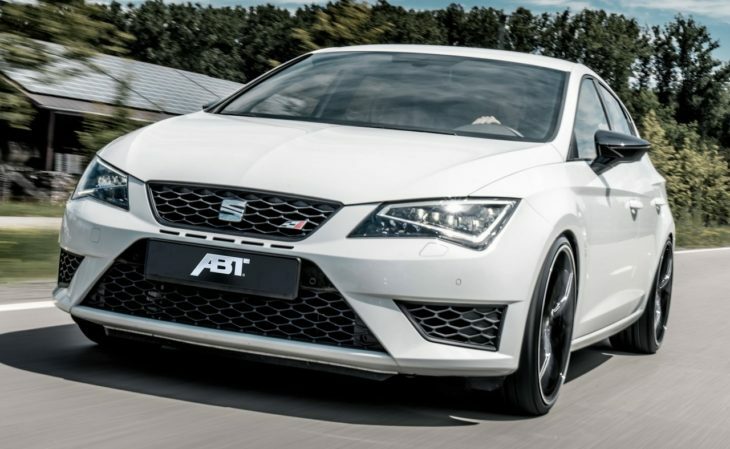 But according to SEAT, el-Born will be right up there with the best of them, even with its range calculated using the new and more accurate WLTP guidelines. It might even offer two sizes of battery pack, just like its VW stablemate. 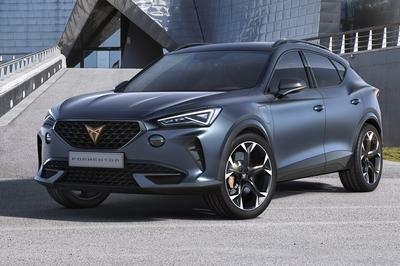 Apart from reinventing the wheel with the Cupra Formentor Conceptcrossover, the Spanish have prepared a rather interesting mobility proposition called the Minimo. Although it will appear at the 2019 Geneva International Motor Show, Seat revealed the electric quadricycle Minimo at the Mobile World Congress in Barcelona a few days prior to its Geneva debut. The Minimo is a two-seat mobility solution that merges the qualities of superminis with the practicality of motorcycles. The Minimo measures 8.2 feet in length – this makes it the same length as the first smart ForTwo. Unlike the smart, however, the Minimo is only 4 feet wide. And, of course, it is electric, with doors that open upwards for even more in-town practicality. This description sounds a lot like the Renault Twizy. The new Minimo actually does look a lot like the Renault electric quadricycle, but it is filled with new technology, and Seat bosses promise that “this is the solution that car-sharing companies have been waiting for.” Renault announced something similar with the Twizy, but it seems that Seat handled some of the curtailing issues Renault had with its small car. Most notably, Seat designed Minimo’s batteries in such a way so that depleted ones can be simply replaced with charged ones in minutes. 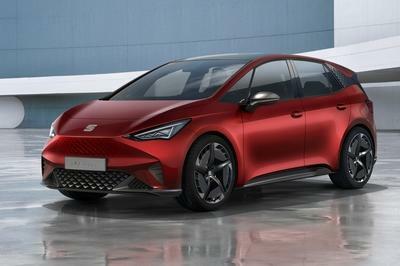 Rumors about Seat working on an all-electric car based on the Volkswagen Group MEB platform have become reality ahead of the 2019 Geneva Motor Show. Meet the El-Born, the company’s first electric vehicle. Although it’s just a concept for now, a production model will arrive in European dealerships in 2020. Seat is set to unveil its first all-electric car next week at the 89th edition of the Geneva Auto Show. The compact model will be the first non-Volkswagen to be underpinned by the MEB platform that is known to be underneath each and every vehicle part of VW’s I.D. family. In fact, Seat’s EV will be a close relative of the entry-level I.D. Hatchback. When Volkswagen announced it is developing the global MEB platform, we were told that it will end up as the base for just about any new EV built under the Volkswagen Group’s umbrella. 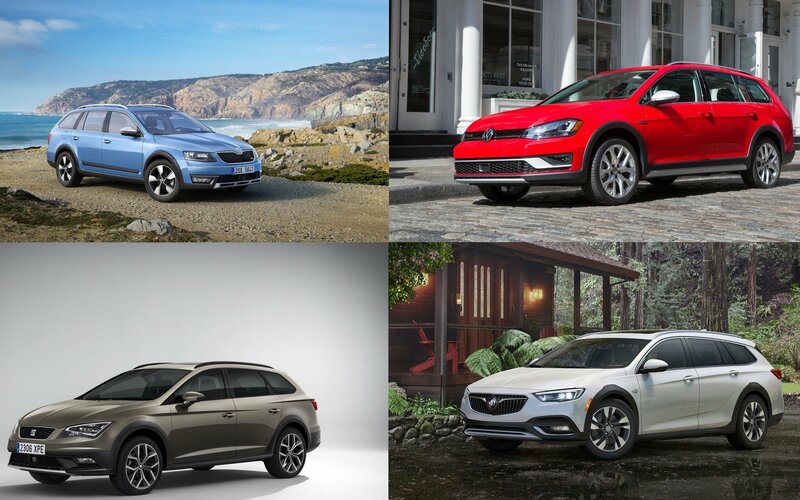 Up until now, we’ve only heard news about Volkswagen’s own plethora of EVs sharing the MEB platform, but Seat will join in soon enough, followed by Skoda who’s working on a crossover that should be similar to the Vision E and Vision iV concepts presented in the past couple of years. SEAT has unveiled its new flagship model, the Tarraco SUV, with up to seven seats and distinctive styling. It’s an important addition to the range, as it moves the new design language forward and takes the brand into a completely new market segment. 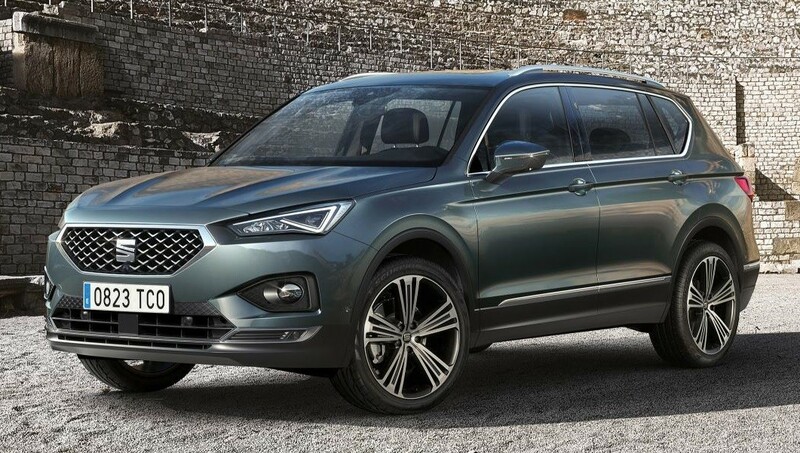 Well it didn’t take long for the internet to come up with a hot version of the fresh-out-of-oven SEAT Tarraco. The full-size SUV has been treated here to a Cupra R treatment, usually reserved for the Spanish car maker’s hottest hatchbacks. And it looks rather good. This rendering is actually very much relevant. Usually when independent designers go to town on new production cars, they tend to turn them into outlandish creatures with no chance of production. 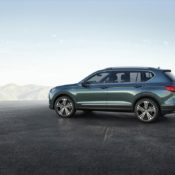 With this SEAT Tarraco Cupra R though, we think they definitely should make it, or at least something like it.There is a whole flock of affordable high-performance SUVs coming out soon, namely the Skoda Kodiaq vRS, and SEAT is going to need more than one player in the field to take them on. 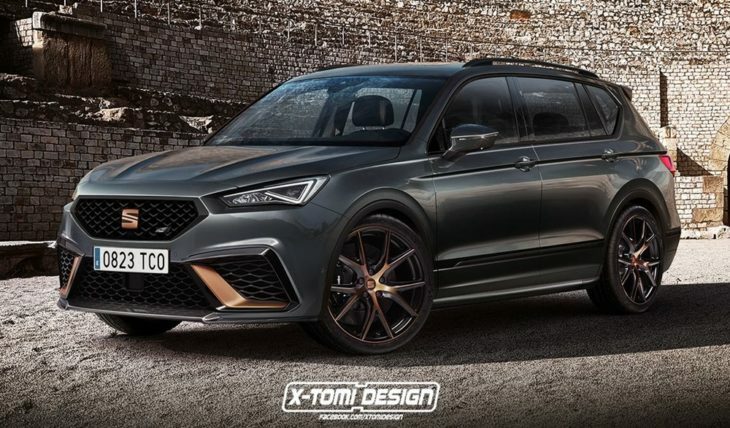 The imaginary SEAT Tarraco Cupra R features bumpers and aero parts, not to mention copper-colored accents, from the latest Leon Cupra R. It gets large air intakes, spoiler lip, sports grille, muscular hood, fender flares, side skirts, and, one would assume, a rear diffuser and tailgate wing. These elements are then complemented with copper-accented wheels larger in size than that of the standard Tarraco. As for how much power something like this should have, well, give the size of the SUV we reckon at least 400 PS is needed to deliver satisfying performance. The post New SEAT Tarraco Rendered in Cupra R Guise appeared first on Motorward. 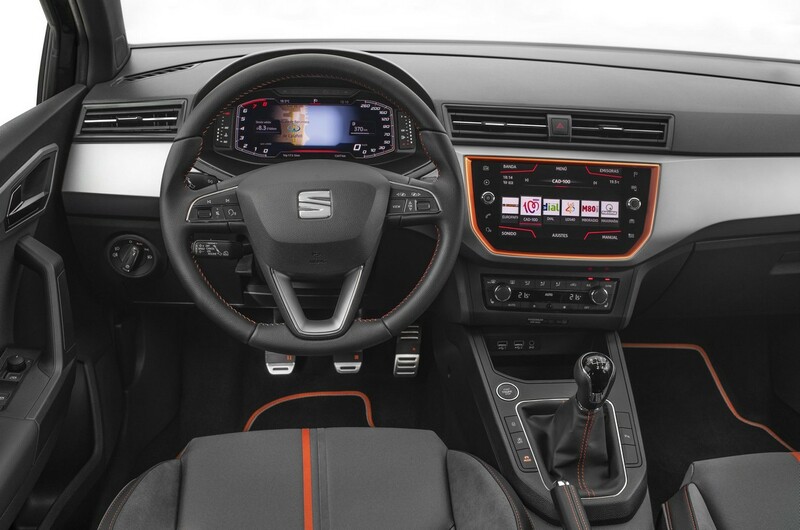 We’ve been through countless teasers for SEAT’s full-size SUV, but it’s finally here. The 2019 SEAT Tarraco is a large family SUV with flexible seating options and a fresh design, complementing the car maker’s utility range. It is also one of the best engineered cars they have ever made. 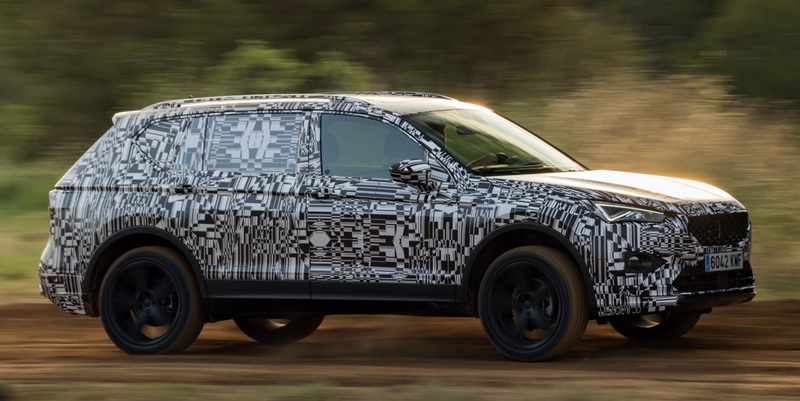 It is not just all the vigorous testing that leads us to believe 2019 SEAT Tarraco is a fine product. The SUV also boasts well-thought-out design and interior. Whoever developed this car had a big family and many kids themselves. 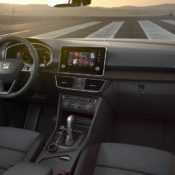 Built on VW’s MQB platform, the Tarraco is also technologically advanced, what with Dynamic Chassis Control (DCC), Emergency Call, Pre-crash Assist and Rollover Detection. 2019 SEAT Tarraco launches early next year with a range of good engines. 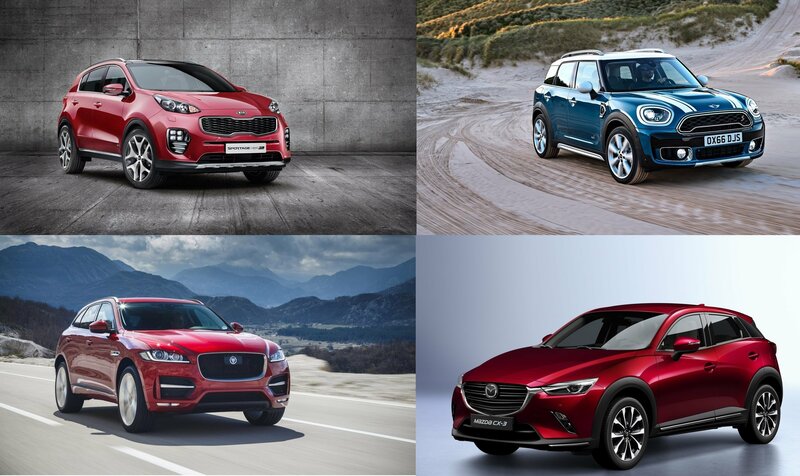 They all benefit from turbocharging and start-stop technology. The range includes a 150 PS 1.5 litre TSI unit with a 6-speed manual; 2.0 litre 190PS petrol unit with 7-speed DCT and 4Drive total traction system; and two 2.0 litre TDI diesels with 150 PS and 190 PS with the latter getting 4Drive/seven-speed DSG gearbox. Interesting colors and a refined interior with a 10.25’’ Digital Cockpit are among other highlights of the Tarraco. 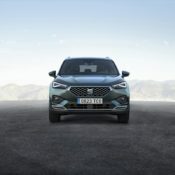 The post 2019 SEAT Tarraco Revealed with 5 and 7-Seat Options appeared first on Motorward. SEAT’s new full-size SUV is gearing up to its big reveal by showing off a bit of its evidently immense offroad abilities. 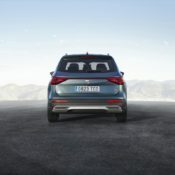 SEAT Tarraco is designed as a family SUV, but it is also equipped with some serious offroad gear which makes it possible for those families to venture way out into the nature on those family trips. 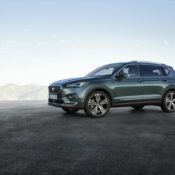 The offroad test SEAT Tarraco was put through in its pre-launch promo campaign shows the car tackling slopes of up to 70 percent and lateral tilts of up to 85 percent. That is serious stuff. The SUV benefits from a well-engineered all-wheel-drive system and boasts other handy features such as Rollover Assist, which automatically unlocks the doors, turns off the engine and activates an emergency call in the hypothetical case of a rollover. Naturally, there is different drive modes to make the car feel at home on any type of terrain, and you get DCC adaptive suspension to boot. 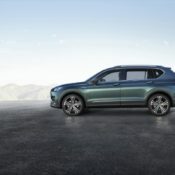 The post New SEAT Tarraco Shows Off its Off-Road Performance appeared first on Motorward. 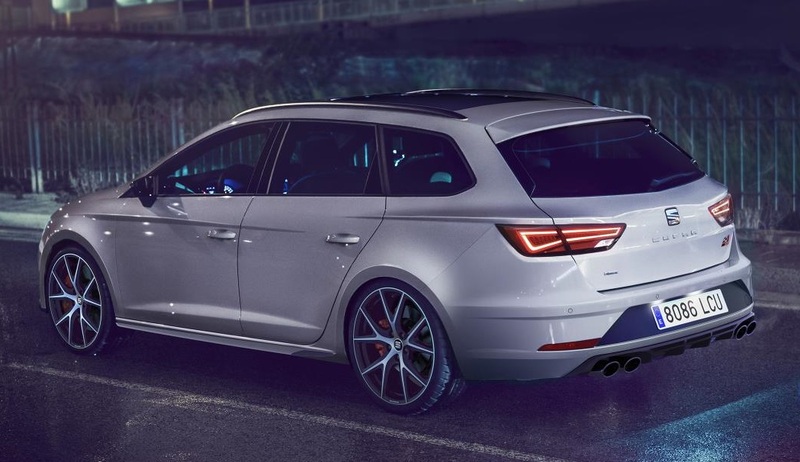 As special as the limited edition Leon ST Cupra Carbon Edition is the way comes out of the factory, there are ways to make this hot little estate car even better. 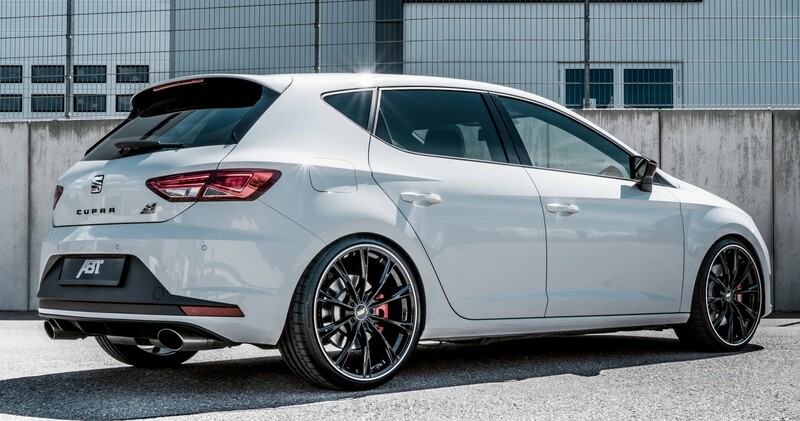 And the most straight forward of those ways is adding power, as shown here by the ABT SEAT Leon ST CUPRA Carbon. 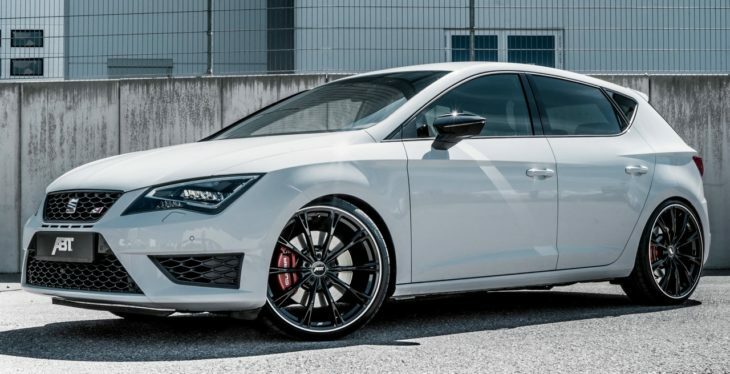 Whereas the standard car packs 300 horsepower from a 2.0 liter TSI engine, corresponding to the fact that it is limited to 300 units, The hotted-up ABT SEAT Leon ST CUPRA Carbon offers an extra 70 PS. That is a remarkable upgrade by any standards, and especially so because it has been achieved through the magic of electronics. It’s the result of ABT Engine Control (AEC) unit, and what’s more, it ups the torque power from 380 to 460 Nm. 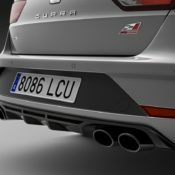 Similar upgrades are available for ABT SEAT Leon ST CUPRA Carbon Edition and other CUPRA models with other engines. There is the 1.4 TSI with now 160 HP (118 kW) instead of originally 122 HP (90 kW) and the 2.0 TDI with 210 HP (154 kW) instead of 184 HP (135 kW). Other cool upgrades available include ABT downpipes, sports stabilizers set, DR and ER-C as well as the new SPORT GR 20 inch wheelswith interesting designs, and the ABT integrated entrance light with its logo for all Leons. The post ABT SEAT Leon ST CUPRA Carbon Packs 370 PS appeared first on Motorward. Audi thought they had done something amazing when they launched their Virtual Cockpit with a large screen in place of the tradition instruments and binnacles. But now that feature has become the norm for pretty much all segments.I mean, SEAT announced they are adding a Digital Cockpit to the Arona and Ibiza models. So, go figure. 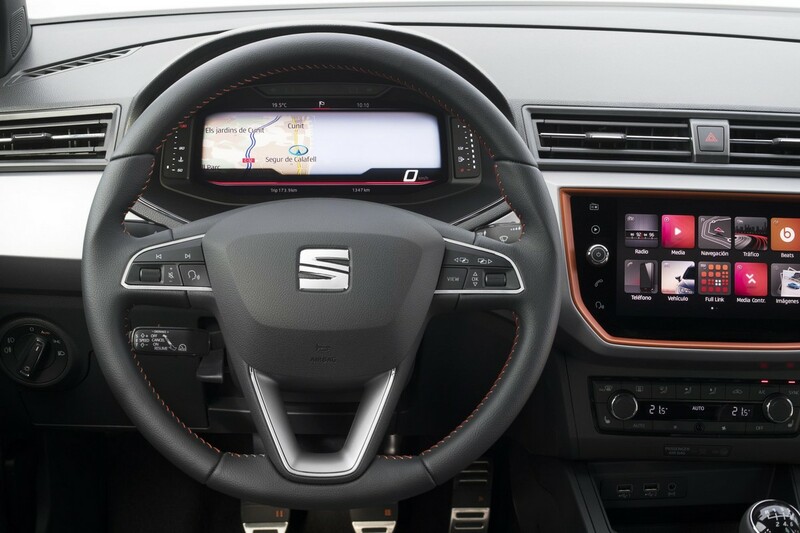 SEAT’s proposition for a Digital Cockpit includes a 10.25” interactive, customisable display, complemented with a main in-dash touchscreen. 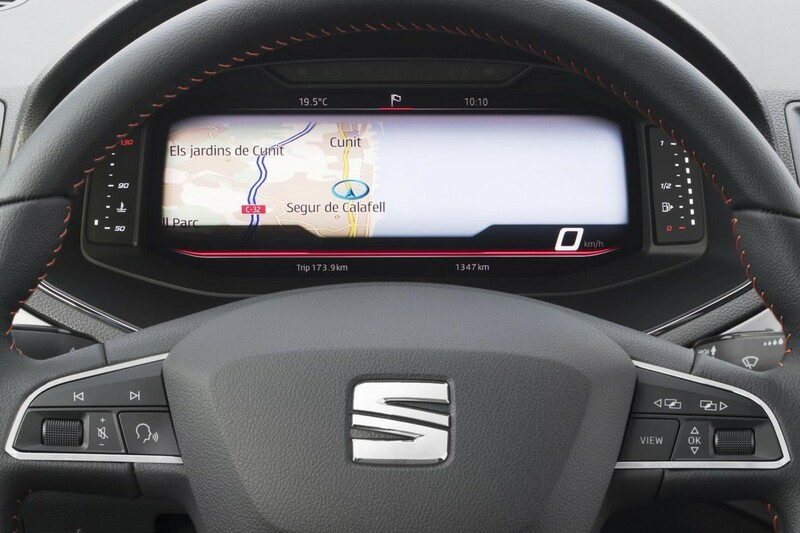 The digital binnacle comes as standard in XCELLENCE Lux and FR Sport trim for Arona, Ibiza, Leon and Ateca, and it prides itself for being a pixel-dense unit, with a resolution of 1280 x 480. We did predict in an editorial a while back that cars will soon be judged based on the amount of pixels their screen have rather than their power and performance. And here we are. 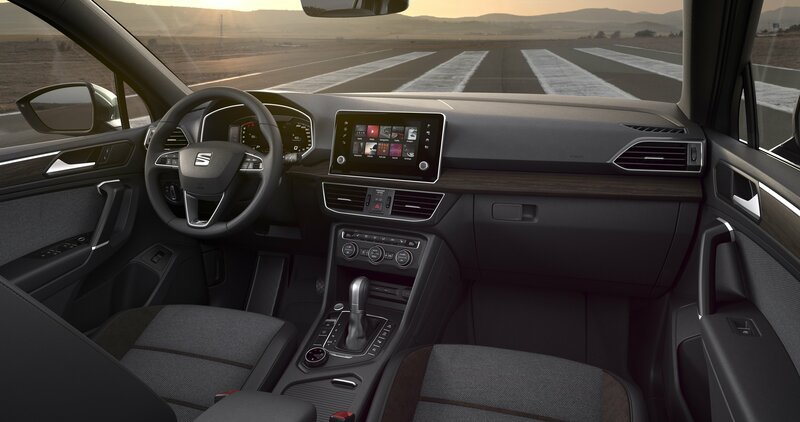 In any case, SEAT’s Digital Cockpit provides three main provides three main modes of Classic, Digital and Dynamic. The difference in these modes are about the graphics really, as they all give you the vital information you need about navigation, music, phone, driving data and assistance information. As far as the speed and fuel gauge are concerned, we think the traditional dials work better than all these shining lights. But we have to admit we quite like how this digital dash presents the navigation data. It make the map easier to read and less distracting to use on the road. The post SEAT Arona and Ibiza Get Fully Digital Cockpit appeared first on Motorward. There is a new Spanish armada headed for Britain’s shores, but it’s a friendly one this time. The 2019 SEAT Leon ST CUPRA Carbon Edition is a limited edition of just 50 copies for the UK, and it brings to the table a level of style and sophistication not usually associated with SEAT cars. Priced at £35,575, SEAT Leon ST CUPRA Carbon Edition is a pricey little sod, but it is feature-rich. The hot estate car comes with a 2.0 TSI 300PS DSG-auto 4Drive powertrain system that will surely satisfy the needs of every kind of driver in terms of performance. 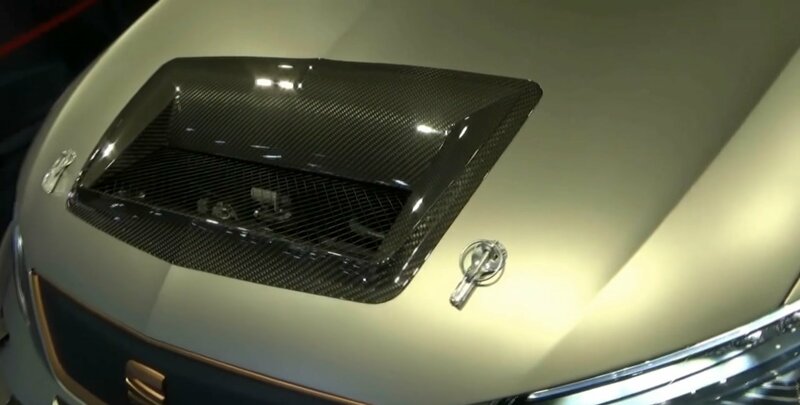 In terms of styling, the car comes with, as the name suggests, carbon fibre side blades and front and rear diffusers. 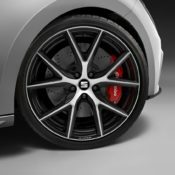 these are complemented with quad exhaust pipes, Monsoon Grey paint job, Brembo brakes, 19-inch black alloy wheels and CUPRA bucket seats. But the real strength of the Leon ST Carbon remains the exclusivity factor, which means it’ll have stronger residual value as well. 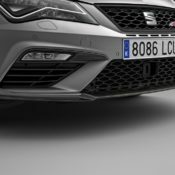 The post Official: SEAT Leon ST CUPRA Carbon Edition appeared first on Motorward. Seat is preparing to launch its third SUV that will go by the name Tarraco and will be the company’s largest SUV yet. 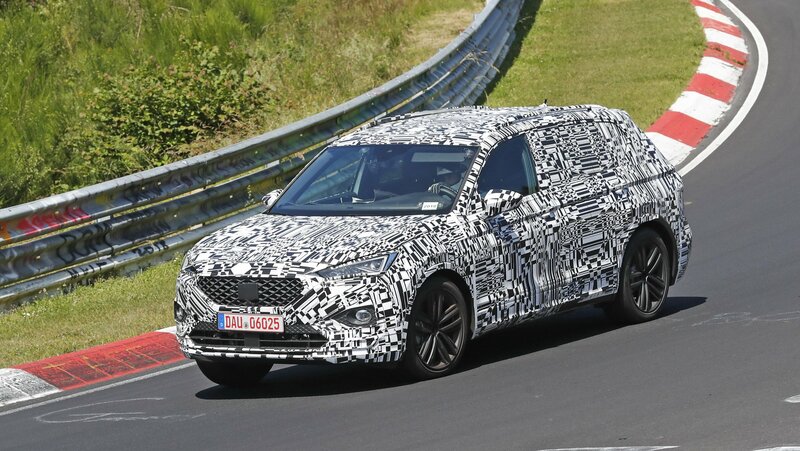 Spotted testing on the Nurburgring track in June 2018, the Tarraco shares underpinnings and other components with the midsize Skoda Kodiaq. This means that the Tarraco uses the Volkswagen Group’s ubiquitous MQB platform, which also underpins the Volkswagen Tiguan and Touareg. Much like the Kodiaq, the Tarraco will go against popular SUVs like the Kia Sorento, Hyundai Santa Fe, and even the Volkswagen Tiguan. In case you’re wondering what’s in the Tarraco name, it’s the ancient name of the Spanish city of Tarragona. Ever since it was unveiled at the Geneva Motor Show earlier this year, SEAT’s CUPRA e-Racer has been teasing us with how awesome it is to look and how superb it is to drive. But we hadn’t actually seen the thing in action, until now. The e-Racer made it track debut recently in Zagreb (Croatia). To be honest, it wasn’t a full track outing for the CUPRA e-Racer. 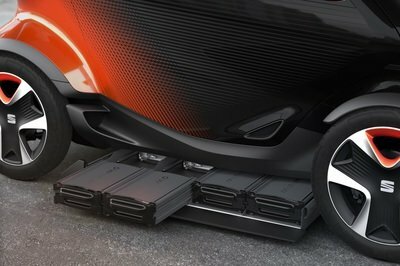 The purpose of this test was to test the integration of the electric battery pack with the rest of the vehicle, meaning SEAT engineers wanted to make sure whether it worked at all or not. It did, we’re glad to report, and “tests yielded very positive conclusions” as well. Not that it was particularly surprising. Each individual component was tested and evaluated, and since the whole construction of machines like this is kind of modular, if every building block does what it’s supposed to, then the whole should work flawlessly. 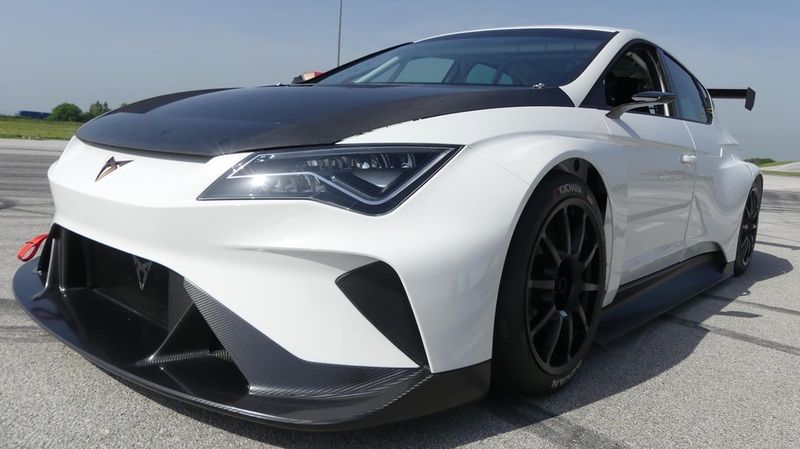 The tests showed the the electrical, battery, cooling and propulsion systems have no issues working together and with the mechanical parts of the CUPRA e-Racer. The e-Racer features a battery pack consisting of 6,072 round cell batteries, which is equivalent 9,000 mobile phone batteries. This car is built for E TCR series, the first ever electric, multi-brand touring car championship. And although in theory the electric motor fitted to it can be immensely powerful – in excess of 600 horsepower – it’ll probably be capped by regulation in the final competition version. 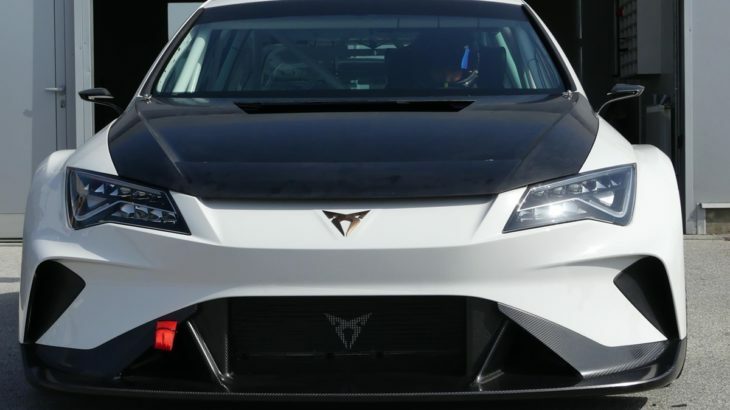 The post CUPRA e-Racer Pops its Tarmac Cherry appeared first on Motorward.